I don't know if it was the narrator's fault, but this book was really hard to follow. The introduction got me totally lost, and the first chapter didn't do much good. The narrator's lack of intonation made this book unbearable. All the characters sound the same. Although this is a topic that interests me, this book almost made me lost it. Young Prince Mishkin is that rare thing - a "completely beautiful human being". He is honest, humble, generous, and selfless, but unfortunately these traits mean he is often mistaken for an idiot. Upon his return to St. Petersburg, after being away at a Swiss sanatorium for the treatment of epilepsy, Prince Mishkin is taken under the wing of the wife of General Yepanchin, who arranges for him to live with the family of her money-obsessed friend Ganya. I was interested in this book because it contained the phrase &quot;Beauty will save the world&quot;; and it was written by Fyodor Dostoyevski, a supposed Russian glory. When I read the summary, the premise attracted me: the story of a humble and noble man, caught in the middle of vile to average people, who all thought of him as an idiot, and his ability to shine and prove them wrong. The first part of the book was compelling, the characters were strong and the narrative smooth and fluid. However, in Part II my interest quickly started to vanish inside the myriad of dull and ordinary characters, impossible to distinguish from each other, and their endless, uneventful, boring, soap-opera like tirades and conversations. The most attractive character from Part I, Nastasia Philipovna, quickly (and surprisingly) fades into oblivion on Part II and the excitement she brought was never replaced by anything. I decided to stop after I heard the most horrid anti-catholic diatribe from the mouth of the Prince. In that moment I had decided I couldn't take it anymore. I guess that was supposed to be Dostoyevski's high moral teaching? That the Catholic Church is the home of the AntiChrist and the house of all evil? Bo-ring! I don't care what anyone says this book was not worth my time. 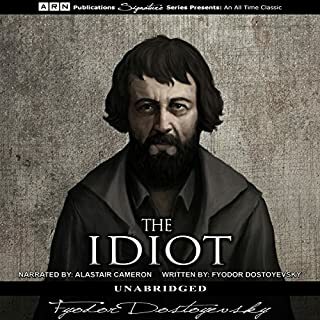 I feel like &quot;The Idiot&quot; for having listened as far as I did. I chose this book because I saw the DVD in Walmart and it called my attention. 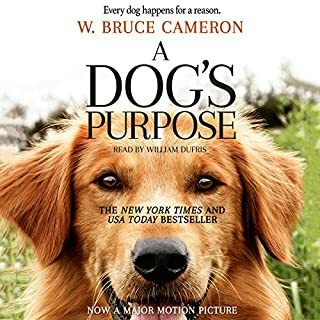 I thought it would be a cute tale about a pet dog and its loving owners, with the regular foe playing tricks now and then, which it's pretty much what it was for the most part of the story. Unfortunately, I did not read a plot summary before purchasing the book and I had no idea that it was about... reincarnation?? Really? I missed the first of the reincarnations somehow when I was listening, but when the second happened, I was like, what?? Then I went ahead and read the Wikipedia summary and realized what was happening. I would have never purchased it if I knew that it was going to be about that. I could care less about esoteric after life experiences... all the more about dogs. I'm giving it three stars because of the story during the first and second incarnations... couldn't care less about the rest. What can one say about Gone with the wind that hasn't been said already! I bought this book because I am interested in Southern culture. 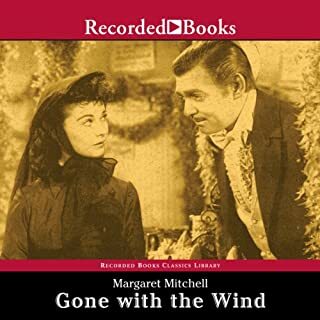 All I can say is that Margaret's Mitchell story is one of the most fascinating I have ever listened (or read). It's a totally honest, zero political correctness romance novel told from the perspective of the defeated, the white American southerners. Here one can discover the beauty and charm of an age gone-by, and learn that it all wasn't just suffering or disgrace for the Black slaves, and how the liberators were at times more cruel than the former masters. Linda Stephens' reading performance is wonderful, making every character immediately noticeable and likeable, full of emotion and personality. 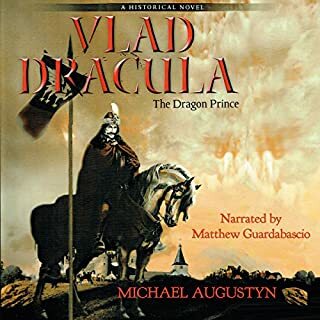 One of my favorite books I have listened to so far. Hitler is a figure that is problematic for many historians, because it's not always easy to write about his life from an unbiased perspective. 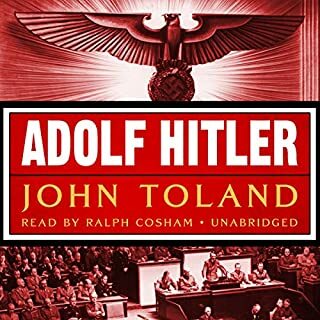 John Toland says in the introduction that he tried to write this book as if Hitler lived a thousand years ago, to try to remove bias as much as possible. I have to say that he largely succeeded. No matter what your position towards the life and works of the great German dictator is, this book will provide lots of facts and obscure insights about the life of Hitler. There are details about his conversations with his intimate circles, his relationship with Eva Braun, his obsesive love for the German people, and above all, a very clear description of the thoughts and actions during the times before becoming chancellor, as well as his years as Führer and at the war that destroyed his dreams. 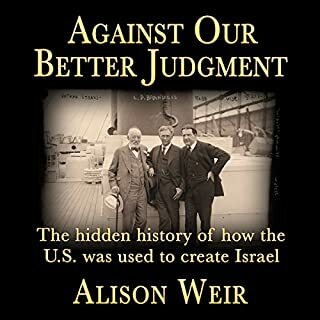 Even though there are small obligated mentions of the holocaust, the book is worth listening for all the other information it contains, it is both scholarly and very entertaining. Ralph Cosham narrative is also superb. 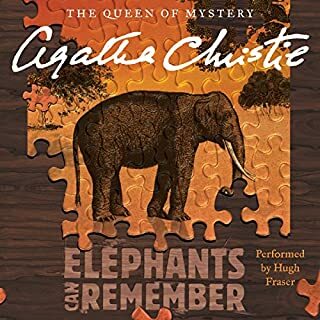 Hugh Fraser is the perfect narrator for Agatha Christie's books. His performance is very expressive and I like that fact that he makes each character very recognizable. This book was particularly easy for me to guess the ending. I had it pretty much figured out since chapter 5 or so. Not that that made it any less enjoyable. It's always a pleasure to see Poirot unwind the skein of yarn! 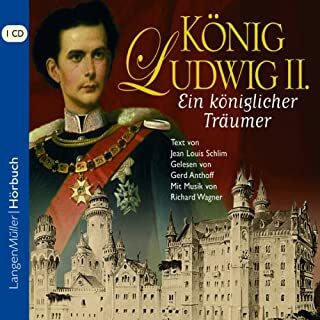 Where does König Ludwig II rank among all the audiobooks you’ve listened to so far? What was one of the most memorable moments of König Ludwig II? The description of his life in Neuschwanstein. Which character – as performed by Gerd Anthoff – was your favorite? He didn't perform any character, but his voice is great. Beautiful Caroline Crale was convicted of poisoning her husband, but just like the nursery rhyme, there were five other "little pigs" who could have done it: Philip Blake (the stockbroker), who went to market; Meredith Blake (the amateur herbalist), who stayed at home; Elsa Greer (the three-time divorcee), who had her roast beef; Cecilia Williams (the devoted governess), who had none; and Angela Warren (the disfigured sister), who cried all the way home. Sixteen years later, Caroline's daughter is determined to prove her mother's innocence. I would recommend any Agatha Christie. It's an unusual story because it's the reconstruction of a case many years after it happened. 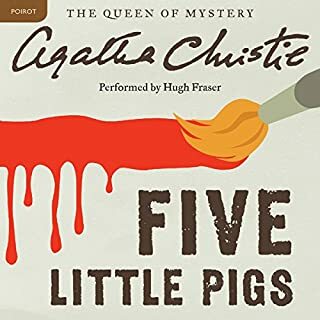 I like Hugh Fraser, but I have to say that his Poirot here wasn't that much distinguishable from the other characters. They thought the past wouldn't come back. They were wrong. What did you like best about Against Our Better Judgment? What did you like least? It contains good information that every American should know. The quality of the recording did much to be desired though. The description of the Six Days War. Would you be willing to try another one of Daniel McGowan’s performances? Did Against Our Better Judgment inspire you to do anything? The beautiful bronzed body of Arlena Stuart lay face down on the beach. But strangely, there was no sun and Arlena was not sunbathing - she had been strangled. Ever since Arlena's arrival the air had been thick with sexual tension. Each of the guests had a motive to kill her, including Arlena's new husband. But Hercule Poirot suspects that this apparent "crime of passion" conceals something much more evil. 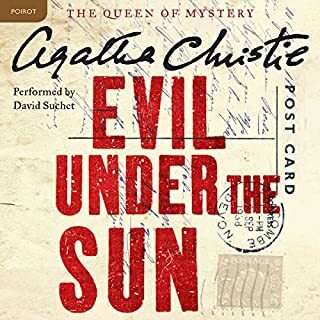 Where does Evil Under the Sun rank among all the audiobooks you’ve listened to so far? Hercules Poirot! Nobody can beat him! What does David Suchet bring to the story that you wouldn’t experience if you just read the book? His impersonation of the characters and Poirot's voice are untouchable.